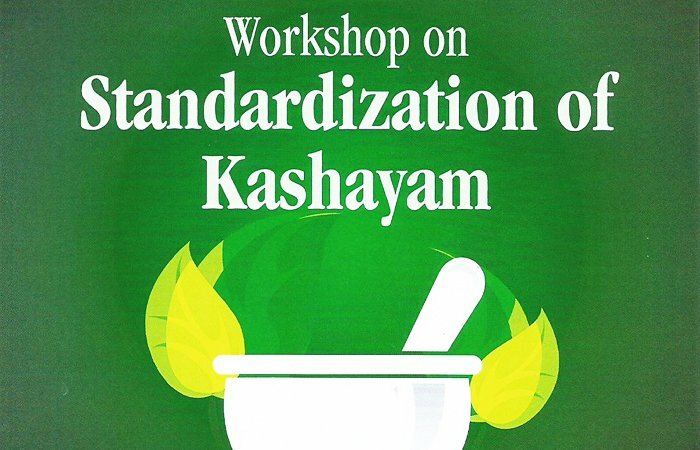 The Itoozhi Illam Ayurveda Foundation Charitable Trust, in association with CARe Keralam Ltd, is organising a workshop on Standardization of Kashayam in Ayurveda formulations. Academicians, students, clinical practitioners and ayurvedic medicine manufacturers are expected to be a part of this unique event. The price for Ayurvedic Physicians attending is Rs 300, the payment of which would be organised at the Venue itself by the organising team. Students’ admission is free but would need to present their bonafide ID cards at the time of checking -in at the Venue. 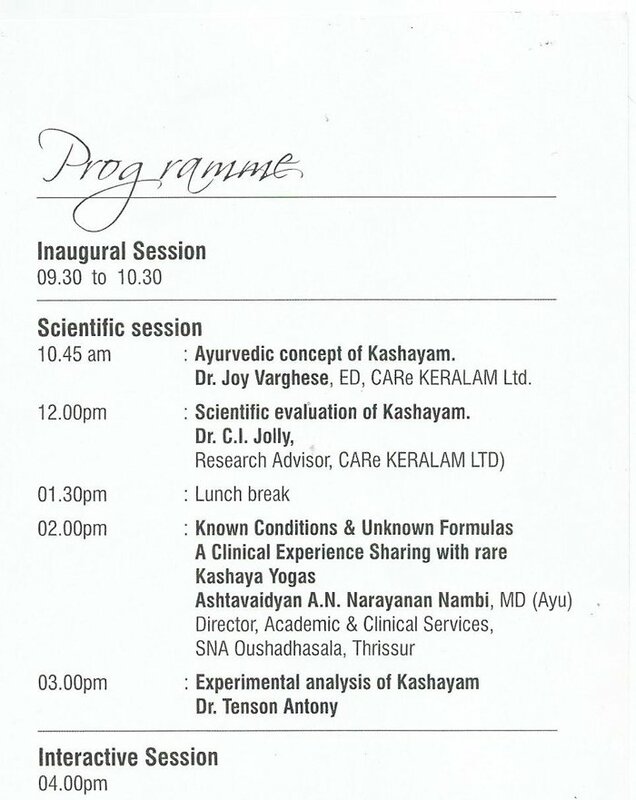 The day-long session has been divided into three – Inaugural, Scientific and an Interactive session, and has Dr Joy Varghese, Dr CI Jolly, Astavaidyan AN Narayanan Nambi & Dr Tenson Antony leading the Scientific session from 10.45 am – 3 pm.